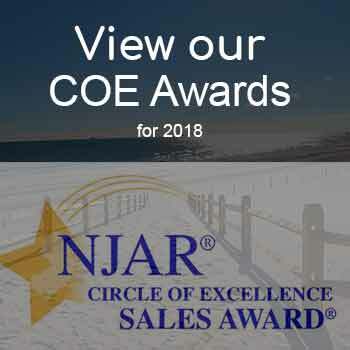 The NJ Realtors® Distinguished Sales Club Award is presented to NJ Realtors® members who have been recipients of the Circle of Excellence® Sales Award® for 10 years. Andrea Schlosser has met the criteria for the Platinum Level Sales Award in 2018. Andrea is also a recipient of the NJ Realtors® Distinguished Sales Club Award. Matthew Schlosser has met the criteria for the Platinum Level Sales Award in 2018. Anthony Belli has met the criteria for the Silver Level Sales Award in 2018. 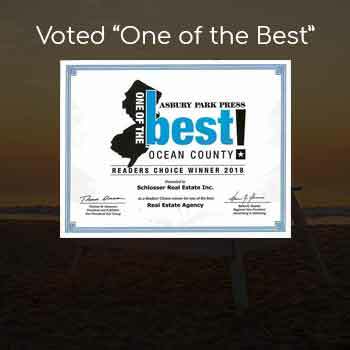 Anthony is also a recipient of the NJ Realtors® Distinguished Sales Club Award. Maria Moran has met the criteria for the Bronze Level Sales Award in 2018.